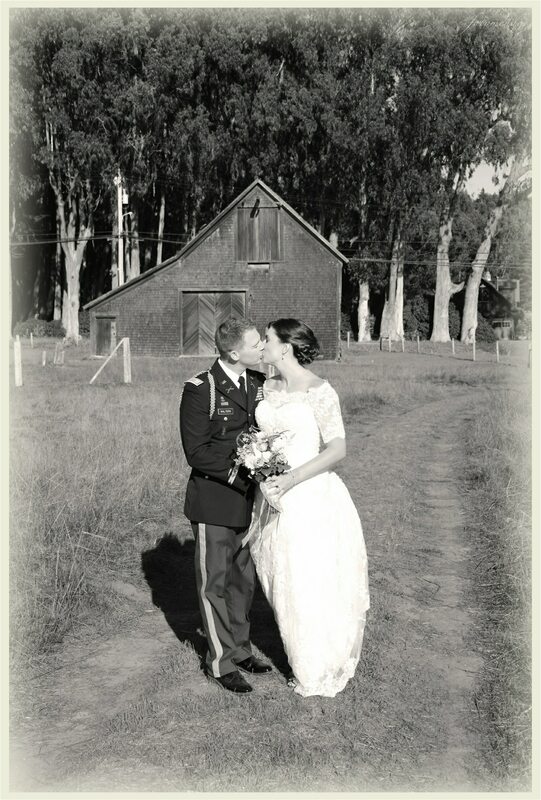 We chose to elope in Mendocino in October and it was the best decision we could have made! Vanna took care of absolutely everything. We live about 8 hours away and all the arrangements were made with a few phone calls and e-mails. The entire experience could not have been more stress free or easy going. The ceremony was perfect and Vanna did a beautiful job incorporating our kids into the ceremony and making it feel like a true joining of two families, not just two people. The cake, flowers, and photography were amazing and the Agate Cove Inn was beyond lovely; all the elements were pulled together so well. Marianella at M Salon was also recommended by Vanna and did a fantastic job on my hair and makeup. Anyone who chooses to get married in Mendocino, or renew their vows, would do well to have Vanna at the helm of their ceremony. “Vanna truly helps to transform your dreams into reality! She is such an amazing woman and I feel so honored to have had her marry my husband and I! From the moment my husband and I started wedding planning, we weren’t sure what to do but we knew that we wanted an intimate wedding in a beautiful outdoor setting. Through some internet research we found Vanna and gave her a call. 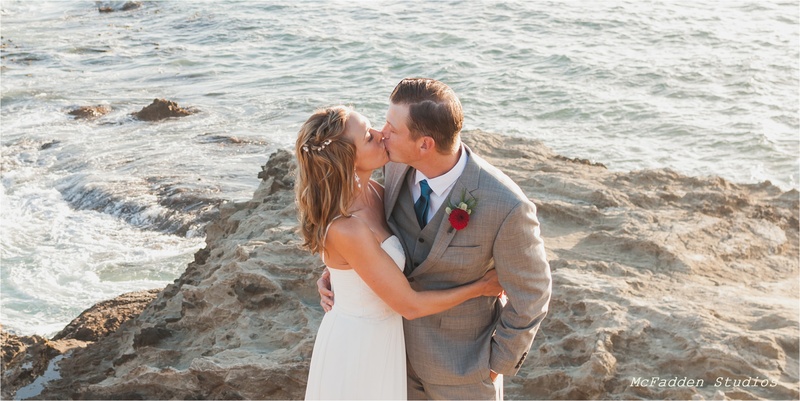 Once we spoke to her, we knew it was the best choice to get married by Vanna in Mendocino! Vanna is kind, caring, compassionate, reassuring (because I literally planned everything via internet, phone calls and e-mailing photos …and that can be a bit concerning!). You can absolutely hear and feel passion and love for what she does just by talking with her. During the planning process, she is very responsive, always making sure that all small details are taken care of. She is clear in her communications and you feel all her love and sweetness in every correspondence with her! Vanna coordinates everything! From the cake, to the flowers and provides suggestions for dining, lodging and hair/makeup, etc. She has her preferred vendors, and let me tell you, they truly will transform your vision into reality just as Vanna told me! We used Lucille Lawrence for our beautiful photography, LR Farms for the gorgeous flowers and Mendocakes for our delicious and beautiful cake. Amazing, glamorous hair and makeup was provided by Marianella Brey. We had a once in a lifetime, delicious, amazing dinner at MacCallum House also. We stayed at and were married at the Agate Cove Inn – A beautiful, lovely, quaint bed and breakfast. Each person (vendor – although they don’t feel like a vendor at all because of the first class, one-on-one treatment I received) was so kind, responsive, so sweet and helpful. Once my group arrived in Mendocino and met each person, I felt like I already knew them and everything was so stress-free! The first thing we would like to say is that our Mendocino wedding exceeded our expectations. We planned the whole thing over the phone and through emails and it turned out perfect. The vendors Vanna used for the cake and the flowers both did an outstanding job. The flowers were beautiful and exactly what Stephanie and I wanted. The cake was done from a photograph taken off the internet and it turned out exactly as we wanted, and, was delicious as well. The photographer was helpful and professional and had some great suggestions for different shots. I can’t stress enough how happy we were with everything. Vanna and her team did an outstanding job. It is really hard to find people who give what they promise, and we feel she and her team went above and beyond. Well worth the cost. Thank you Vanna so much for taking care of everything and allowing us to have a stress free ceremony. We would absolutely recommend anyone thinking about marrying at the coast contact Elope Mendocino and Vanna for their ceremony. “Chris and I live in Dallas, TX and were looking for a simple stress free elopement package in California when we came across Elope Mendocino. We had never been to Mendocino, or anywhere close to that area before our wedding day. Vanna was helpful and quickly responded to all of our emails, which eased any worry we had about planning a wedding 2,000 miles from home. At first, Chris and I were planning on coming to Mendocino alone, but literally a week from our wedding day our parents surprised us and said they were able to come! I was really excited, but I was also nervous to tell Vanna about the additional guests because it was such late notice. She responded to me within the hour and said she had already made the changes to accommodate our parents and to relax and savor every moment of our trip because it will all be perfect. She was right. “My wife and I chose to do a simple and affordable elopement in Mendocino and couldn’t have been more pleased with Vanna. While we chose her because we wanted a cost conscience ceremony, Vanna helped us coordinate our special day, which felt priceless. She assisted in the creation of our vows, was the officiant, and suggested two excellent local restaurants for dining. Her flower, cake and photography vendors were kind, attentive, and professional. The first thing I said to my bride about the ceremony was – ‘I feel like we just got a $10,000 ceremony for a 1/10 of the price.’ There was nothing “cheap” about it – rather it was all professional and worth much more. The bouquet was stunning and custom, the cake was delicious and tailored to our request, and the photographer stayed late to get a shot of the sunset with us- she was just as giddy as my bride and I.